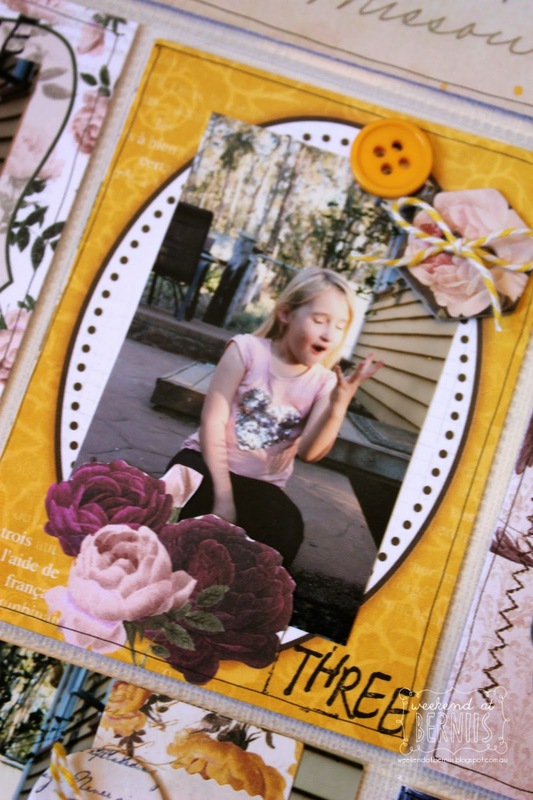 The BoBunny Blog: Rose Cafe Misc Me Layout! 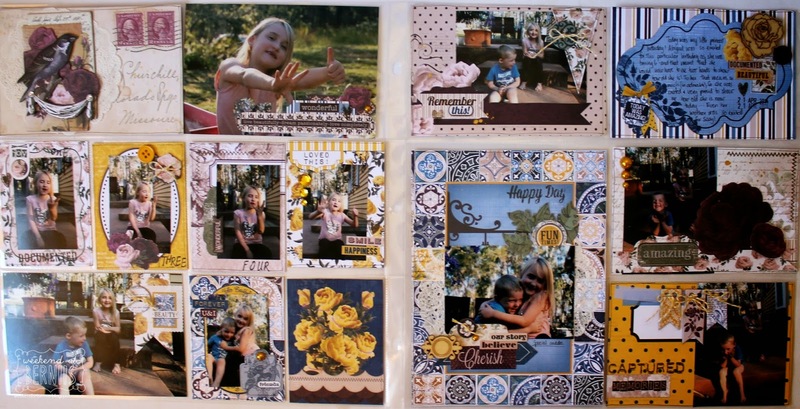 Rose Cafe Misc Me Layout! Hello there BoBunny Fans!! Welcome to a new year, full of new goals, inspiration and exciting new things ahead for BoBunny!! I hope you have had a fulfilling festive season and ready to start the new year with a bang especially your scrapbooking goals. 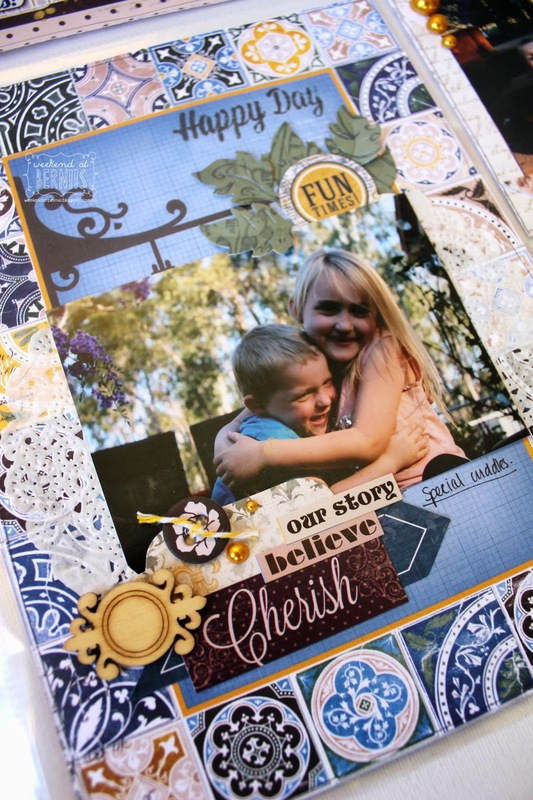 If one of your goals is to try and stretch your supplies that little bit more, then this layout is for you!! Let's take a peek. I just adore the Rose Cafe collection and find it just so versatile and classic in its design. 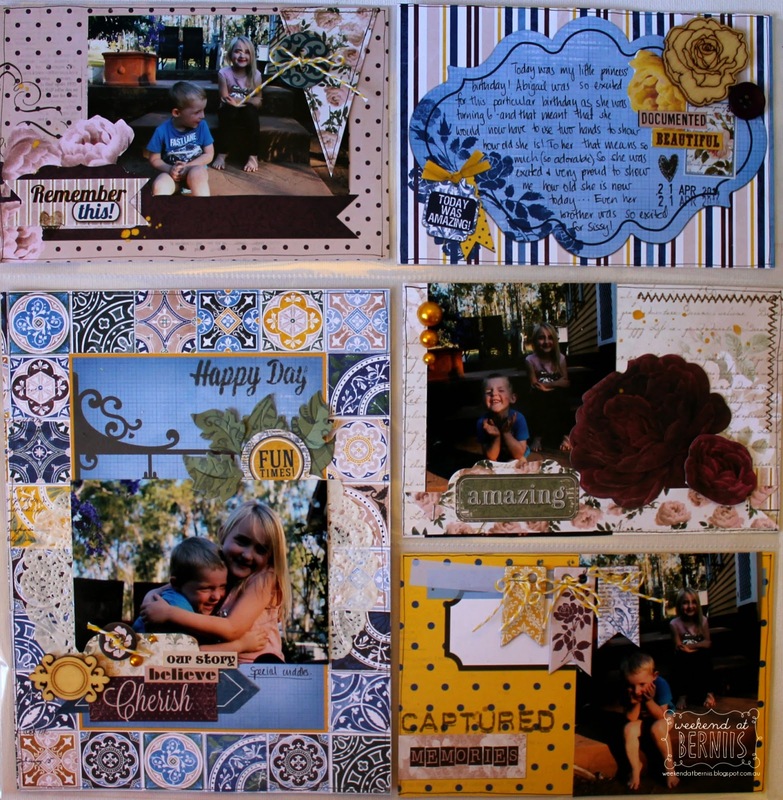 I especially love the papers in the collection that come with the 3x4 and the 6x4 card designs already done, These are always my go to and actually that is all I used to create this layout. 2 single sheets! 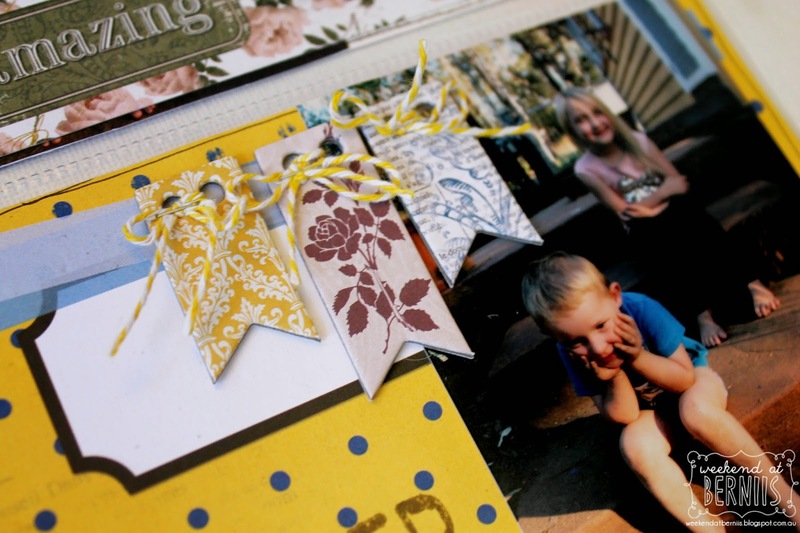 Once I cut up all the cards from the patterned paper, it was just a matter of adding some matching accents from the noteworthy pack and sprinkling through some of the gorgeous Elegant wood shapes. 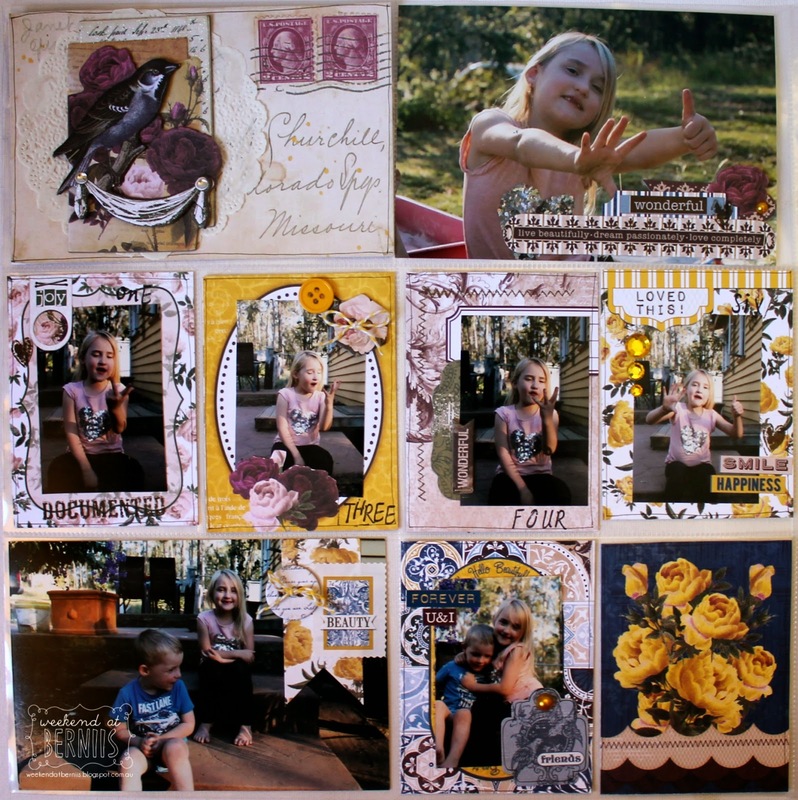 When adhering the photos to the 3x 4 cards I did not want to place the photos over the cute accents. So I used a sharp cutting blade and gently cut around the flowers to be able to tuck my photo in behind. Pattered Paper: Dreamers , French Roast, Garden / Rose Cafe. Misc Me Page Protector 12 x 12 page Protector Variety Pack.